Donate to the Bluebacks and we’ll send you fresh swag as a thank you gift! Hats, t-shirts, and stickers available now. Pre-orders being taken for hooded sweatshirts. Click the “Donate Now” link below. When making a donation, please indicate which items you’d like, size, and color as appropriate. 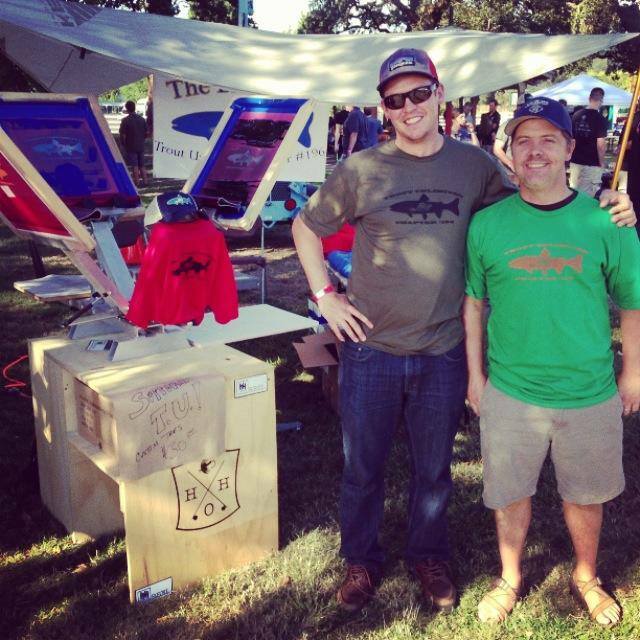 Thanks for supporting the Blueback Chapter of Trout Unlimited! Bluebacks short sleeve t-shirt- Printed on a high quality American Apparel T, these custom screen printed Bluebacks t-shirts were made for our chapter by the fine gentlemen of H&H Outfitters in Forest Grove, OR. Each hand-printed t-shirt features the Bluebacks logo on the front, with a small H&H Outfitters logo centered on the upper back. 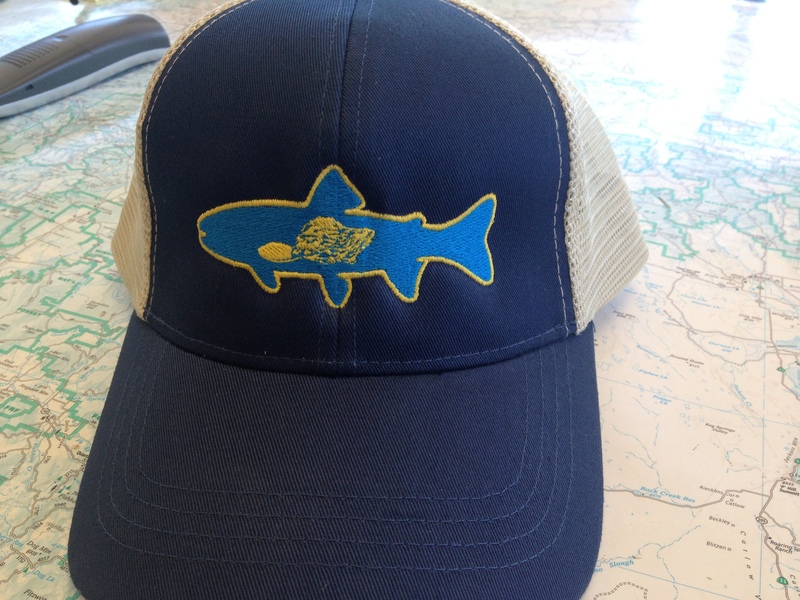 Yours when you donate $20 or more to the Bluebacks, plus $5 shipping. We have these in a slate-blue with orange logo, sizes M-XL. Very limited quantities, order before they’re sold out! Trucker Hat – Eco-friendly materials. Embroidered Bluebacks logo on the front, web address on the back. Fits well on smaller heads. If you’ve got a big dome, we’d suggest the flat-billed Flexfit hat below. Yours when you donate $25 or more to the Bluebacks. Please add $5 shipping and handling if you’d like us to mail you a hat. Navy Blue Flat-Billed Flexfit Hat- Fits size 7 1/4 to 75/8. Yours when you donate $30 or more to the Bluebacks. Please add $5 shipping and handling if you’d like us to mail you a hat. 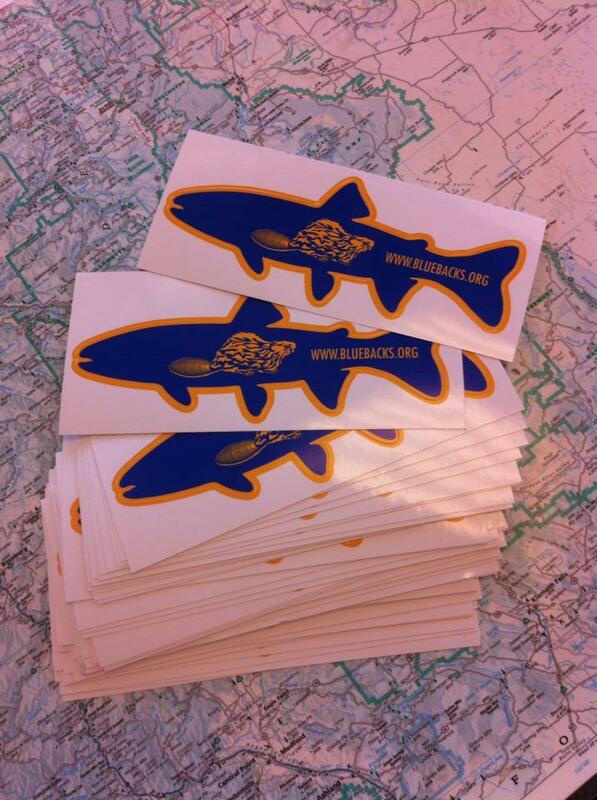 Sticker- Yours when you donate $5 or more to the Bluebacks. Spiff up your truck or that shiny new YETI cooler with a Bluebacks sticker. Measures ~2″ x 6″. Free shipping.